I am all about wearing comfortable cute tees. So when I was given the chance to team up with Nacho Mama Tees to bring you another review and giveaway, I was excited! When I did my review of Nacho Mama Tees a couple of months ago, I got this amazingly soft and cute tee to review. This is still one of my favorite tees. After many, many washes in the washer, it stayed soft and just as comfortable as the first day I received it. For this review, I received another funny tee to review and I love it just as much as I love the last tee I got. 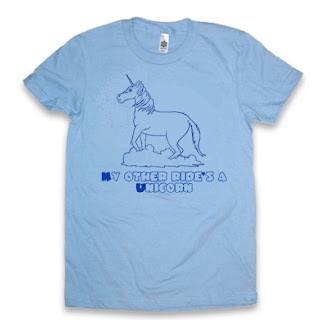 Nacho Mama offers not only funny tees for women, but also for men. It is a great place to shop for unique tshirts for your special someone this Valentine's Day. As I have mentioned before, this is my second time working with Nacho Mama Tees. I have to tell you that I am impressed by the quality of the tees I received to review and the company ships their orders very quickly. So as a consumer, I know that this is a place I will shop at and I have no problems recommending Nacho Mama Tees to my friends. Although the company does carry offensive tees and I understand that's not for everyone. 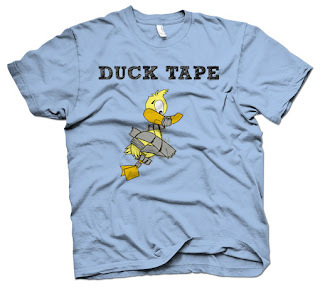 But the company also carries funny tees and vintages tees that my husband and I just love! This is a shirt that my sister in law would totally love. Actually I think DD would love it too. Too bad you can't get it in toddler size. For comfortable, funny, unique or vintage tees, please go to Nacho Mama Tees to make your purchase. Many thanks to Bill of Nacho Mama Tees. He has generously offered 1 t-shirt as the giveaway prize to one of my lucky readers. 1.) Please go to Nacho Mama Tees and then come back to tell me which t-shirt you would like and what size. 2.) Become a follower on my blog (publicly- privately does not count)-leave another comment to let me know that you have become a follower. To follow me, click on the "Follow" button on the right hand side of my blog. Follower earns 1 additional entry. 3.) Blog about my giveaway- with a link back to here, when you leave the comment make sure you include the URL of where your post of my giveaway is. Contest ends February 6th, 2010 at 11:59pm PST. 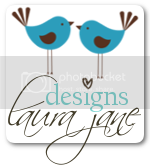 Blogging about my giveaway earns 1 additional entry. 4.) 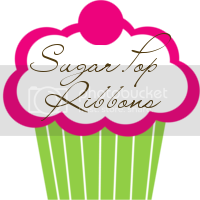 Add me as a friend on Facebook (click on "Sugar Pop Ribbons" under facebook badge on the right hand side of my blog). Adding me to Facebook earns 1 additional entry. 5.) Grab my button and tell me where it is make sure to leave an url address so I can check it. Grabbing my button is worth 3 additional entries. 6.) 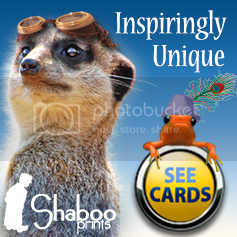 Tweet the following: " I am trying to win a free t shirt at Nacho Mama Tees @ http://www.sugarpopribbons.blogspot.com/ " for 1 additional entry per day (please leave me the url so I can verify your tweet-- and I will check ^_^). 7.) Become fan of Crazy Dog T-shirts (sister company of Nacho Mama Tees) on Facebook for 1 additional entry. 8.) Follow Crazy Dog T-shirts (sister company of Nacho Mama Tees) on Twitter for 1 additional entry. * Lucky Winner will be chosen from True Random Number Generator. * Anonymous comments must include an email address. For example: sugarpopribbons (@) yahoo.com -- so that I may get in touch with you if you are selected to win the giveaway. * Please come back to this post on February 7th, 2010. I will announced who the winner is. You will have 48 hours to respond to my email about getting your awesome giveaway prize to you. 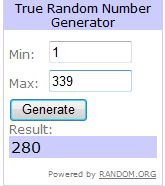 If the winner does not reply to my email within 48 hours, I will choose another winner using the True Random Number Generator. I love the IF YOU CAN READ THIS YOU ARE IN MY ROUNDHOUSE KICK RANGE tee shirt. So funny. 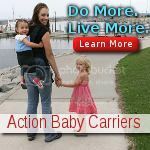 Fun site to browse!! My choice would have to be "Callahan Auto Parts" in Navy size L. My son would love it! Big Tommy Boy fan! I'm a facebook fan. Sharon O.
I'm a facebook fan of Crazy Dog T-Shirts. Sharon O.
I would want the On the Eh Team shirt in a medium. I would choose Caution Zombies Ahead for my son in size XL. I would love to win the "You Rock, You Rule" tee in size small! I'd choose the You've died of dysentery (Oregon trail) t-shirt in size medium. Nobody listens to me anymore shirt in 3xl. I would love the Squirrels Can't Be Trusted shirt in regular (as opposed to women's size) medium. I would choose the Camp crystal lake counselor t-shirt in size small. I Like "The Overlook Hotel" tee. I would like the Hangover baby shirt in extra large. I like Mr. Rodgers "Its all good in the hood!" I like nobody listens to me anymore. Thanks for the chance. The ADHD shirt in Small! Fan on the CrazyDog Facebook. Follow on google friend connect! I would love to have the Smores t shirt for my husband in a large. I'm following your blog publcly!! I'm a fan of Crazy Dog T-shirts thru facebook. The I'm on a boat shirt in medium is my pick! I like "Squirels can't be trusted in a Woman's Med. I am a new follower on Goggle, found this site through "Just Another New Blog"
I like the Deliverance Paddle Faster I Hear Banjos t-shirt. I follow Crazy Dog on twitter as Elkaye. I would love to own the Smores t shirt in size M! http://www.nachomamatees.com/servlet/the-109/add-squirrel-t-shirt%2C/Detail Oh wow, if you only knew, this is soooooo me. Size large...well if they're mans sizes then a medium. I would love the NOBODY LISTENS TO ME ANYMORE SHIRT for my brother. Karate Kid T-shirt size Large. G.I. Jose...a real mexican hero...Its very hard to choose!! Im 5 ft 2 and Irish...I want the Leprechaun Protection League shirt!!! thanks so much!